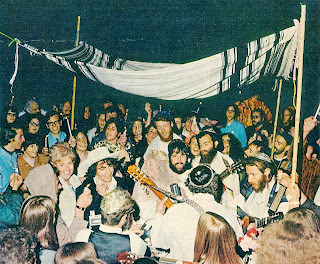 The poet George Gorner is the author of the lyrics for Reb Shlomo’s first original English song, “Lord Get Me High”. He passed away on May 25, 2013. When Reb Shlomo performed George’s wedding on March 24, 1969 in Golden Gate Park, he turned to the groom and asked him to write English lyrics for Shlomo’s tune יָשִׂישׂ עָלַיִךְ אֱלֹהָיִךְ כִּמְשׂוֹשׂ חָתָן עַל כַּלָּה. I had the privilege of interviewing George on Nov. 30, 2012. He was a colorful figure with a tragic story. His father was a Holocaust survivor whose entire family was slaughtered at Babi Yar. He became an avowed atheist and his Jewishness was something to hide so as to avoid persecution – “There was nothing Jewish in our house”. George reminisced with me describing how it was Reb Shlomo who awakened him to a meaningful Jewishness. George Gorner was born in the middle of World War II, on December 28, 1943. 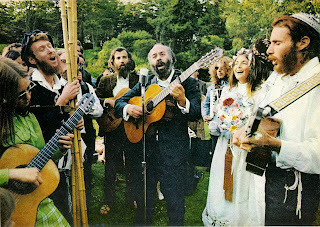 He died at age 70 in Stinson Beach, California. 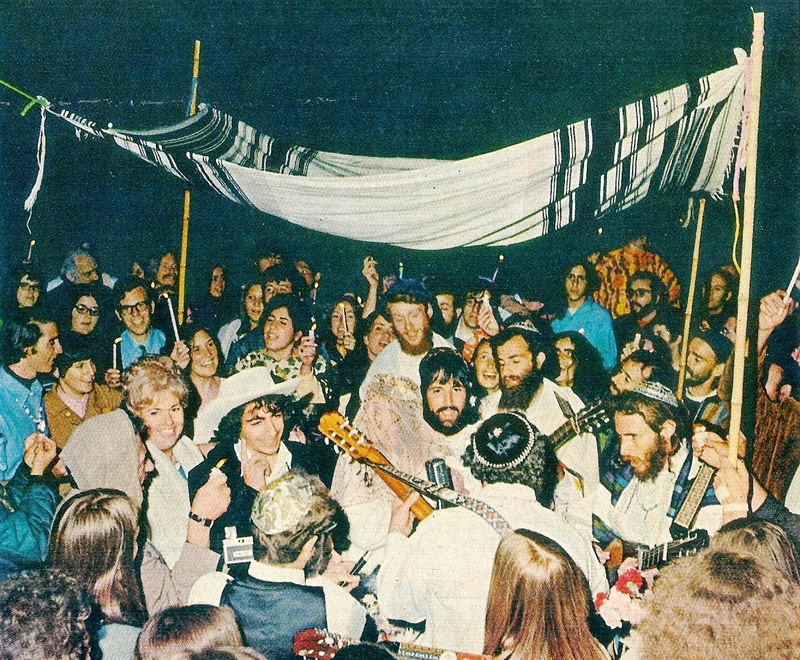 George first met Shlomo in February 1967 when Shlomo was performing at the I/Thou Coffeehouse on Haight Street. This was one of the first venues for Shlomo's Haight-Ashbury concerts. At the time, George had just begun graduate study in literature (poetry) at San Francisco State University. An accomplished lyricist, George was somewhat of a media celebrity because of his role in leading anti-war songs. San Francisco State was a hotbed of campus protests during 1966–1968. Gorner explained recently: I was facing a lot of charges and had warrants out because I would take the microphone and sing protest songs during the demonstrations. In the end, I pled guilty to disturbing the peace. (Gorner, personal discussion, Nov. 30, 2012). We saw you, in Chicago. We saw you attacking angels of peace. You beat them and gassed them, with deadly poison. They are beating children beyond belief. This time we must stop them. stop them. They had brought the gas. Stop the f* fascists before they prevail. Lord get me high, get me high, get me high. We left a concert at Sonoma State University near Santa Rosa. Pam, my new bride, was driving my old Corvair that had had a fire, so there was no backseat, just a lot of cushions. The sun was coming up in an unbelievable sunrise. Out the window was some garish hotel with flamingos. Shlomo and I were huddled half asleep on the cushions. 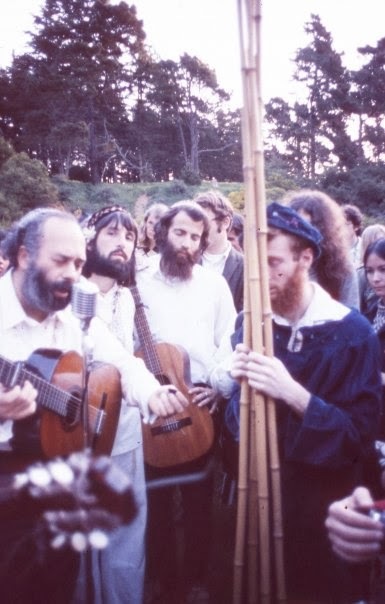 Shlomo looked up and said, “George, the Lord is quite an artist.” That is when we began singing our new uplifting song “Lord Get Me High,” and we continued all the way back to his motel in San Francisco.